Wrangell students bid farewell to one of their teachers this week. Kindergarten teacher Matt Nore serves in the National Guard and will soon be deployed to Kuwait. KSTK spent some time with him, his wife and his two girls, to ask how they cope with the distance. At a district-wide assembly, Wrangell’s Evergreen Elementary students said farewell to one of their teachers. Students gave Nore cards and drawings. They picked out inspirations quotes and said they’d miss his goody jokes. “You’re teaching children obviously academics, but you’re instilling values. Like “Now say ‘please’, ‘thank you,’ use your manners,” says Nore. He teaches, but he also serves in Alaska’s Army National Guard. He joined at age 17. He expected his service to look like the commercials he saw. Helping Alaskans after natural disasters. He’s been deployed to Iraq twice, and Cuba once. He does security and military policing. His tours last about a year or less and cycle about every four or five years. During his 18 years in the force, he also studied and became a teacher. 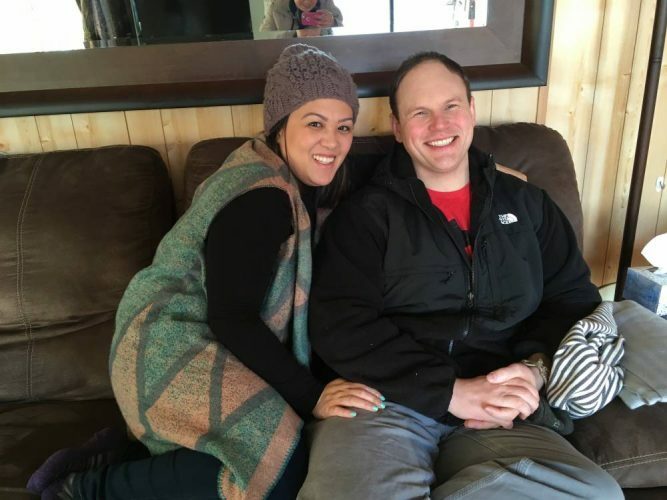 He met his wife Edna in the process, when they both attended the School of Education at the University of Alaska Anchorage. 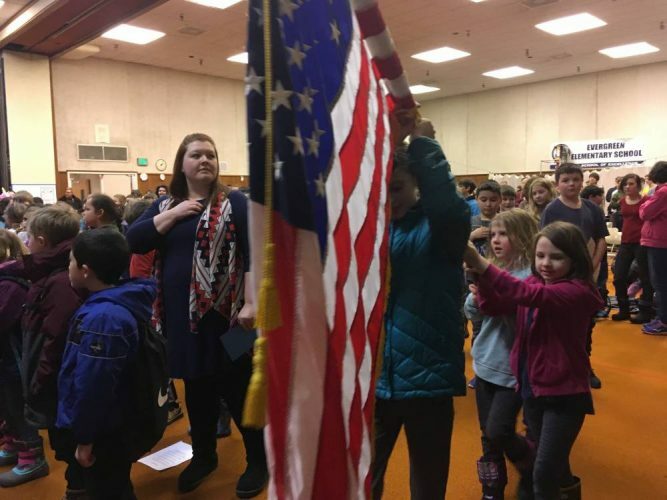 Wrangell’s Evergreen Elementary students and teachers said farewll to Kindergarten teacher Matt Nore before he left for his deployment to Kuwait. Now, they’re married and have two kids. “I kind of knew marrying him what he married first. He married the army first,” Nore’s wife Edna says. Nore’s family has had to learn how to deal with the distance from his last deployment to Cuba. “There’s times where it gets really frustrating and I’m over it. Being a single mom is never easy, at all, I don’t know how all those single parents do it,” Edna says. Matt and Edna don’t like to say that they get used to the distance, but they do accept it, and they do get used to it. The family talks, and video applications like Skype and FaceTime make it better. The Nores even started their own YouTube channel to share moments from their day. Matt and Edna have to figure out to keep the kids happy, too. One thing they came up with is a daddy doll. A company began making these in 2005 to provide comfort to children whose parents were overseas. It’s more like a pillow than a stuffed animal. But it has a full length photo of Matt on it. “I love him a lot and it seems like he’s really here,” 8-year-old Arabella says. As the girls get older, Edna knows she’ll be having more hard talks with them. 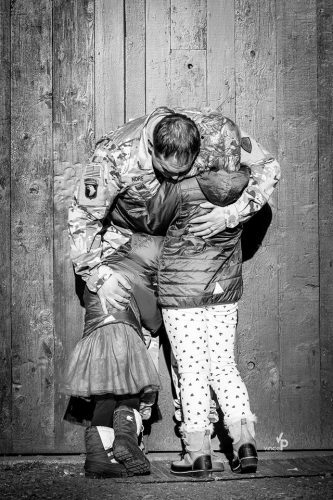 “One conversation I had with Arabella, she said ‘It’s not fair that dad has to go.’ She was very upset at that time. And I said ‘It takes a very special person to do what daddy does. He not only protects us as a family, he protects this country, we just got to be here waiting for him when he comes home,’” says Edna. But Nore’s service could come to an end soon. He will be able to retire in 2020. His deployment to Kuwait is expected to last a year.